EPEA Hosted Sohour on the Honor of His Excellency Mr. Ashraf Salman – Minister of Investment. 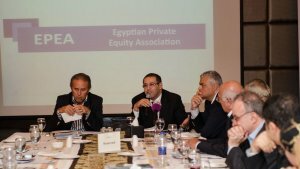 The Event was attended by more than 190 EPEA members and high profile professionals and experts from the financial sector and the investment ecosystem at large. His Excellency explained and discussed the challenges and opportunities related to enhancing both local and foreign investment in Egypt, and the Ministry`s plan to deal with them.